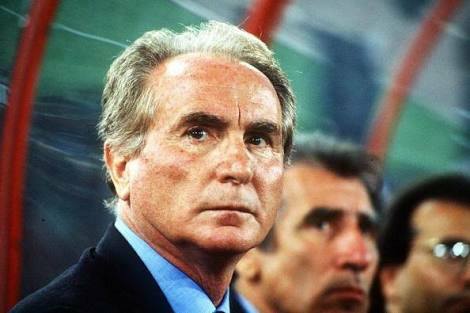 Former Italy coach, Azeglio Vicini, who was in charge of the team at the 1990 World Cup. Mr. Vicini coached Italy from 1986 to 1991 and led them to the semi-finals at both the 1988 European championship and the World Cup. The Italian Football Federation (FIGC) said he died on Tuesday night at his home in Brescia. Vivini died at the age of 84. He stepped down in 1991 after Italy surprisingly failed to qualify for Euro 1992 after finishing below the Soviet Union in their group. Vicini coached Italian national teams at youth level for eleven years before taking charge of the senior side and only coached three club sides — Brescia, Cesena and Udinese. The FIGC announced that a minute’s silence would be held before Wednesday’s Coppa Italia match between AC Milan and Lazio and the weekend’s Serie A games.